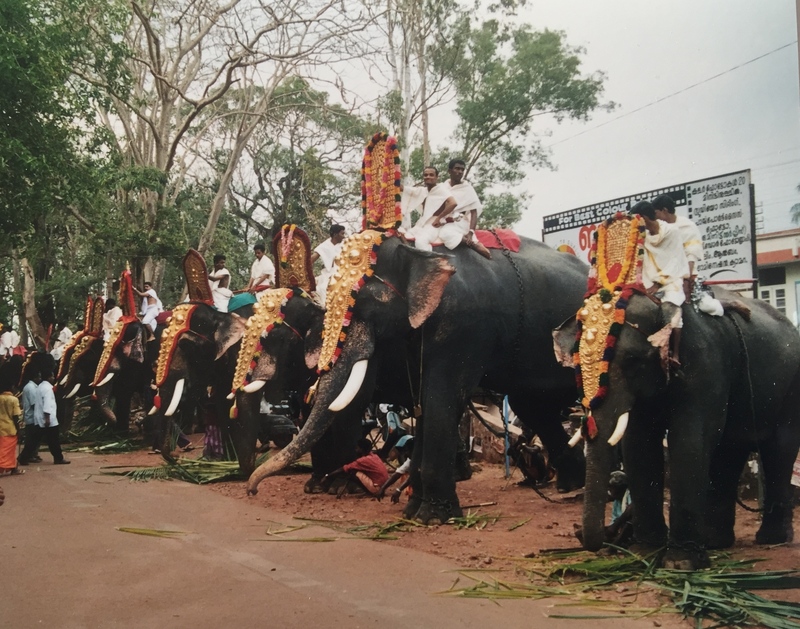 One morning, a waiter told us that there would be fifty elephants in Varkala. Okay, nice dream but we didn’t believe him. Later during the day, another India man said: “You will see fifty elephants tomorrow. What a lucky thing!” Must have been a joke in India to tell the tourists about upcoming crowds of elephants. We laughed. The next day, there were the elephants, not fifty but about thirty-five and I was rather scared. I was even more scared when I saw the animal police with their injection guns ready to shoot at any moment of panic alert. But nothing happened and this parade became one of the most unforgettable moments in India.